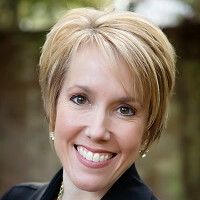 Kristin Wiisanen Weitzel received her PharmD from the University of Florida in 1998 and completed residency training at the Medical College of Virginia. Dr. Wiisanen Weitzel is currently Associate Director of the University of Florida Health (UF Health) Personalized Medicine Program, Director of Continuing Pharmacy Education, and Clinical Professor in the Department of Pharmacotherapy and Translational Research in the College of Pharmacy. Dr. Wiisanen Weitzel leads educational efforts in the UF Health Personalized Medicine Program, serves as chair of the Provider Adoption Barriers and Education working group for the NIH-funded IGNITE Genomic Medicine Network, previous past chair of the Pharmacogenomics Special Interest Group for the American Association of Colleges of Pharmacy, and Residency Program Director for an accredited postgraduate Pharmacogenetics Residency program. She is Editor-in-Chief of Pharmacy Today for the American Pharmacists Association (APhA), a fellow of APhA, and a University of Florida Entrepreneurial Faculty Fellow.